Welcome home! 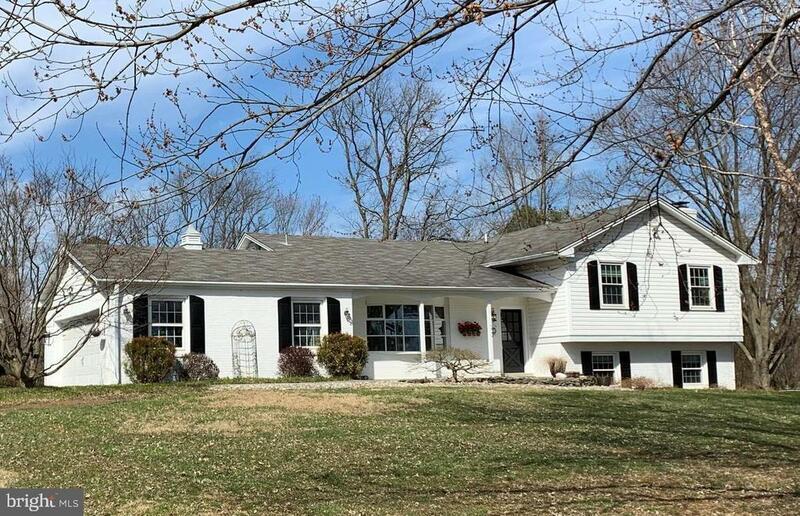 Wonderful 5 BR/2.5 BA South-facing, 4-level split on nearly one-acre in Glen Hills. Meticulously cared-for and thoughtfully appointed, this home exudes charm--in such a serene setting, yet so convenient to everything: I-270, Fallsgrove, Potomac Village, and a short drive to Metro. Bright, remodeled stainless and granite kitchen with 5-burner gas stove, separate pantry and huge bow window. Large living room with picture window overlooks beautiful view of flat lawn and trees. Separate dining room has sliding French doors leading to deck with removable awning and screening, plus covered patio. Gleaming hardwood floors first floor and upstairs (upstairs currently carpeted with Berber). Master bedroom/bathroom, plus 3 nice-sized additional bedrooms and another bathroom are upstairs. Lower two levels feature family room with wood-burning fireplace with attractive copper surround, huge, bright room ideal as a 5th bedroom, office or game room, plus separate laundry room, and half bath. Lower level basement has an extra approx. 496 SF carpeted exercise room, plus bonus room with window and spotless utility/storage room with built-in shelving. This house seems to go on forever! Other great features include hot tub steps from rear door, custom stone walkway to covered front entry porch, top-rated, highly efficient replacement windows, alarm system, attached oversized 2-car garage off the kitchen, PLUS a detached 4+car garage. Public water, and all-NEW septic tank, field and system installed 2018. Fallsmead/Frost/ Wootton schools, No HOA. This bright, sunny home is a winner with loads of space and storage, beautiful views and a wonderful flow!